You know the feeling. You open up your phone to send a text, check your email, or open Instagram. But before you’ve had time to click the app, your screen goes black and you realize what has happened - your phone is dead. Never have that problem again with your branded portable charger! These handy devices are a great way to market your business. They are perfect for travel, a long day, or for a simple boost while running around! 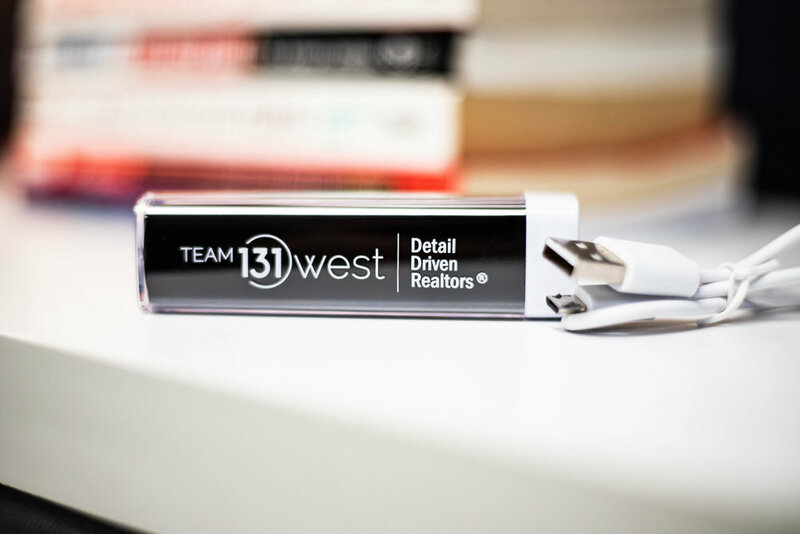 Take a look at this portable charger designed for Team 131 West.